Our product range includes a wide range of oil cooler. 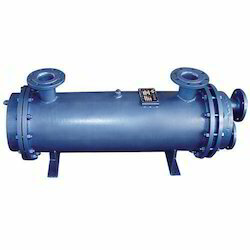 Oil Cooler offered can be made available by us in different working configurations and can also be made available in OEM specifications as demanded by the customers. Featuring aluminum metal construction finish, these coolers can be provided with different fin types like serrated-fin, plate-fin and louvered-fin, perforated-fin, wavy-fin. Some of its features include provide for superior heat conductivity and long service life; suitability for use in areas like construction machines, automotive industry, compressors hydraulic installation and others.